The project will develop a system of assessing the quality and impact of research at selected higher education institutions in Malaysia, Indonesia and Thailand. The start date was 1 October 2016. The end date will be 1 October 2019. This project is a commitment among regional and institutional players to enhance and assess research capacity in South Asian universities. The focus of the research is to develop and implement transferable research skill training modules at selected institutions. A series of policy documents and materials will be created and workshops and training visits to the partner institutions will take place. The project is co-funded by Erasmus+ under the Capacity Building for Higher Education project. The first stage of the project has been to establish contacts and develop policy materials. Visits by members of the research team to participating institutions will take place. 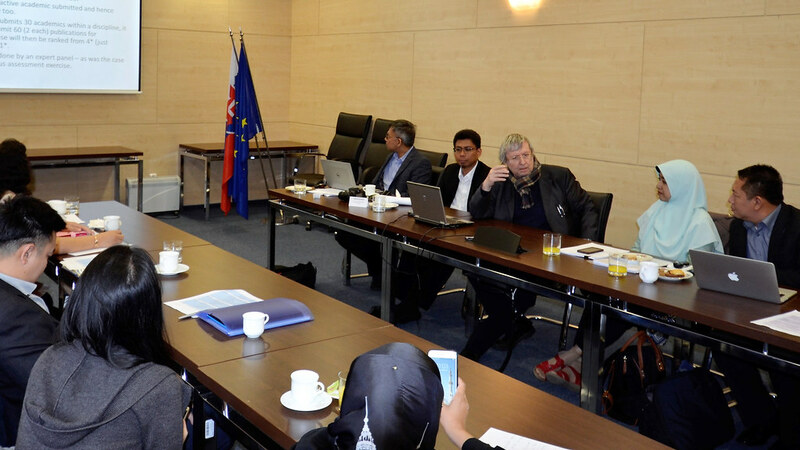 The team will develop international cooperation among members of the partnership at regional and interregional levels.